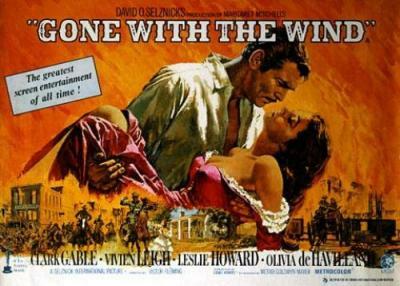 February 7, 2011 Movies, Watch it AgainAmerican Civil War, Clark Gable, film review, Gone with the Wind, Hattie McDaniel, Rhett Butler, Scarlett O'Hara, United StatesReba R.
This week my fiance and I watched Gone with the Wind for the first time. He has an excuse, probably, not having grown up in America. I, on the other hand, really feel silly for not having seen one of history’s classic films until now.